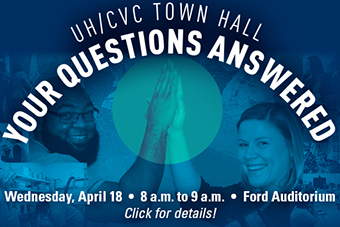 University Hospital and Frankel Cardiovascular Center employees are invited to a town hall discussion planned for April 18 from 8 a.m. – 9 a.m. in Ford Auditorium. 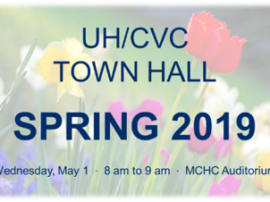 UH/CVC chief nursing officer Devin Carr and executive director Shon Dwyer will open the presentation with announcements, updates and recognition, but plan to devote the bulk of the time to addressing faculty and staff interests. 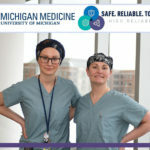 Therefore, employees are encouraged to submit questions in advance to allow the presenters to identify “hot topics” and give as specific information as possible. 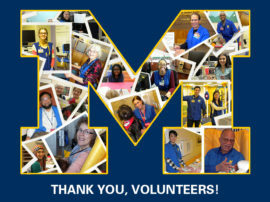 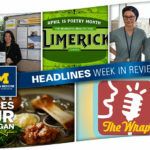 Questions and comments can be submitted anonymously by clicking here or by emailing Amy Wiseman at amwisema@med.umich.edu. 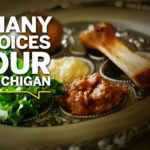 No question is off-limits!